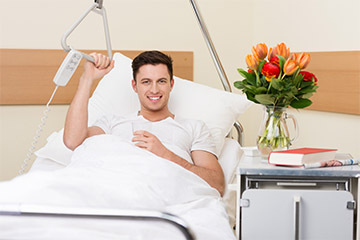 Hospital beds are usually supplied with everything needed to get them up and running right away, but for extra comfort and versatility, a range of accessories are available. From bed lights to grab rails, our Bed Accessories can make care facilities more comfortable and efficient for patients and carers alike. If you have a question or would like a recommendation, please contact our Customer Care Team at 020 7501 0592. Profiling bed accessories provide a multitude of options to customise your bed, allowing it to be fully equipped to meet the specific demands of your situation. 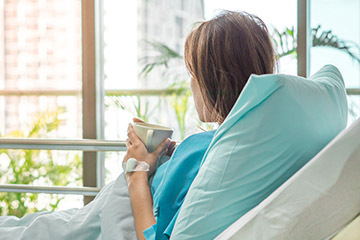 Whether you want to increase patient safety, maximise carer time or ensure the bed is as comfortable as possible, our range of Bed Accessories can help. 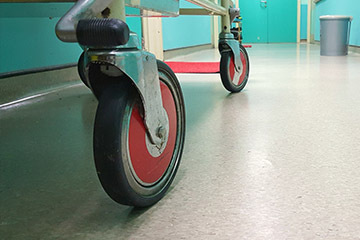 The addition of profiling bed side rails is an ideal way to boost the safety of your patients, but their hard metal and wooden frames can present a new risk of injury. Our Bed Bumpers provide cushioning to your side rails, helping to soften any impact while preventing your patient's limbs from becoming trapped within the rail framework. While profiling beds are usually designed to suit as many patients as possible, taller patients may still require some extra length to get the space they need. These Bed Extensions provide that extra length, turning your standard profiling bed into one that can suit patients of all sizes. For some patients with limited amounts of mobility, all that is needed for unassisted transfers is something to hold onto for support. 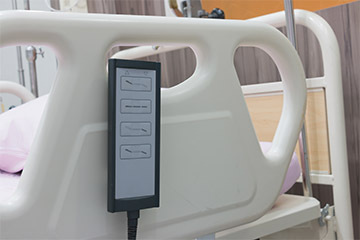 Our Bed Grab Handles attach to the side of your profiling bed, allowing patients to support themselves without the need for assistance from carers. For many patients, simple movements and readjustments in bed may be difficult without extra assistance. Our range of Bed Lifting Poles provide a convenient hanging handle for patients to grip onto, allowing them to support themselves for small movements – thereby freeing up carer time for other tasks. 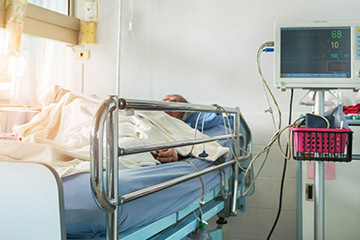 Whether to provide illumination for patient reading or to provide safety during the night, it's important to ensure your medical facility is properly lit for both comfort and safety. 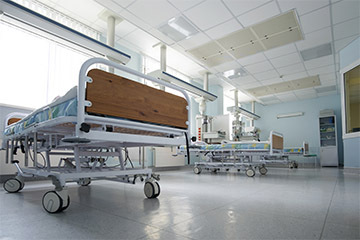 Our range of Bed Lights are designed to illuminate the area over or beneath a bed, providing functional light to reduce tripping hazards and increase patient comfort. 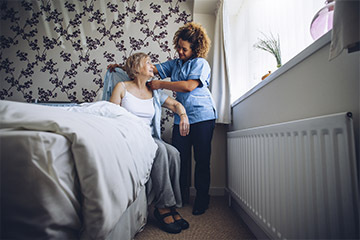 Falls from bed are one of the leading causes of injury in care and nursing homes, so everything possible should be done to prevent their occurrence. 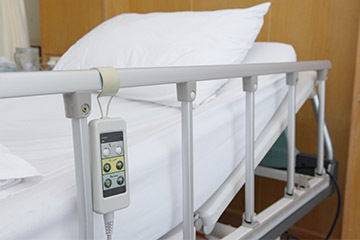 Our Bed Rails are designed to be attached to either side of your profiling bed, providing a barrier to prevent the patient from falling out of bed. In medical environments, it's especially important to be fully prepared in the event of an emergency, as the increased needs of vulnerable patients may make evacuations and security measures more difficult. 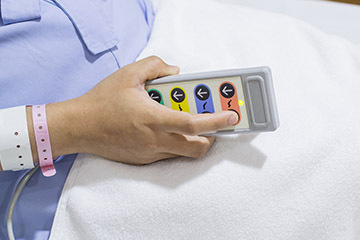 Our Emergency Accessories allow your bed to be prepared in the event of a power failure or need for immediate evacuation, ensuring your care team is ready for any occurrence.